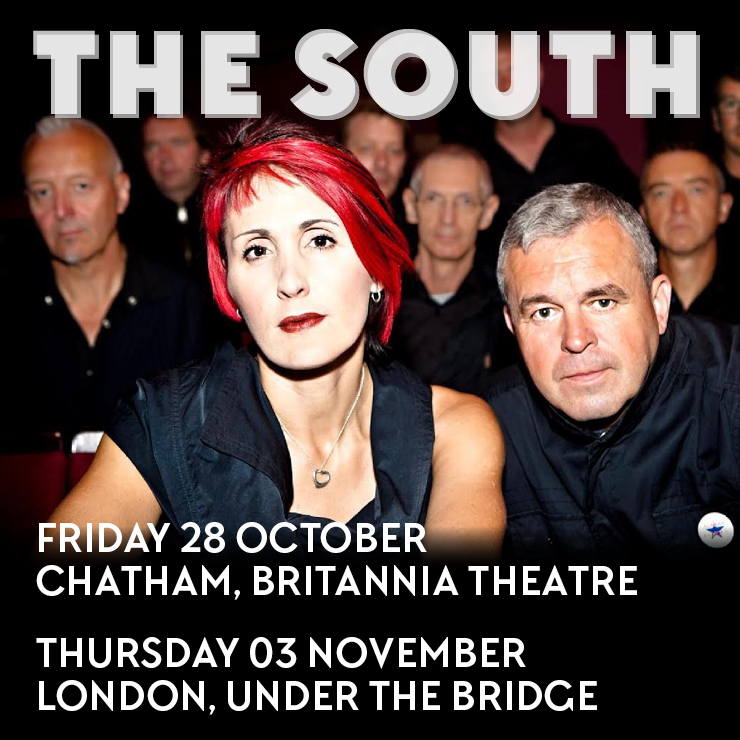 *TIMINGS* 7pm Doors 7:30pm G D Sweeney & The Undercover Cowboys 8:30pm The South 11pm Curfew AGMP presents THE SOUTH The South were borne from the ashes of The Beautiful South after they split in 2008. Formed in 1988 The Beautiful South had a string of hit singles such as Old Red Eyes Is Back, Rotterdam, Don’t Marry Her, Song for Whoever, You keep it all in, I’ll sail this ship alone, Perfect 10, 36D, We are each other and Number 1 single A Little Time. Their greatest hits album, Carry On Up The Charts, was one of the fastest-selling albums in UK history, entering at Number 1 and staying there for weeks, becoming one of the country’s most popular albums ever. After 20 years, ten studio albums, five greatest hits compilations, thirty-four chart singles, 15 million record sales worldwide and performing in front of millions of fans, when time was called on The Beautiful South in 2008, not everyone was ready to leave the party. This band has history and pedigree. Dave Hemingway’s musical career stretches back into the Eighties. He became a founder member of The Beautiful South after the demise of The Housemartins, who had enjoyed a sustained purple patch and many hits before calling it a day in 1988. Whilst bassist Norman Cook went on to become superstar DJ FatBoy Slim, Paul Heaton and Dave Hemingway proceeded to form the new band in December 1988. Right from the off, The Beautiful South seemed to defy the normal logic associated with pop bands, not least for the fact that they stayed together for 20 years.